“Dear children, I call you the apostles of my love. I am showing you my Son who is the true peace and the true love. As a mother, through the mercy of God, I desire to lead you to Him. My children, this is why I am calling you to reflect on yourselves, starting out from my Son, that you look to Him with the heart and that you may see with the heart where you are and where your life is going. 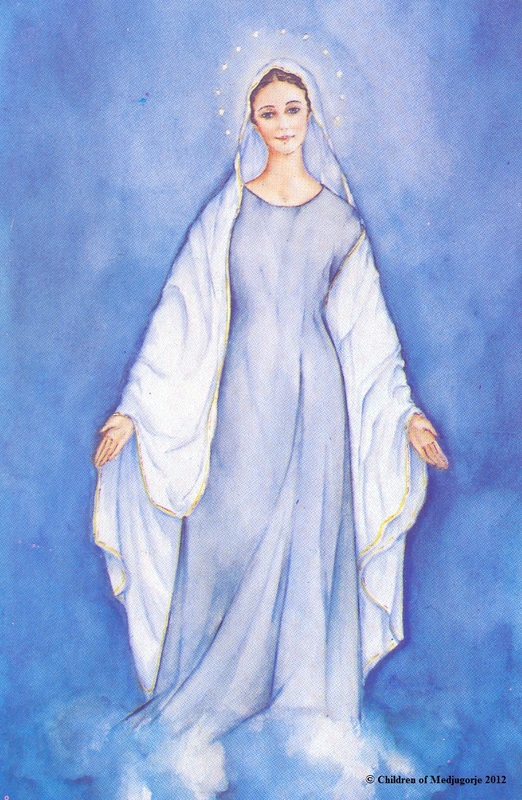 Mirjana also added that during the apparition, the Blessed Mother was very sad. 2. Don’t miss St. Joseph! We are in the middle of the novena before his feast day of 19 March, and it is good to receive the graces that he so wishes to bestow on us in abundance. 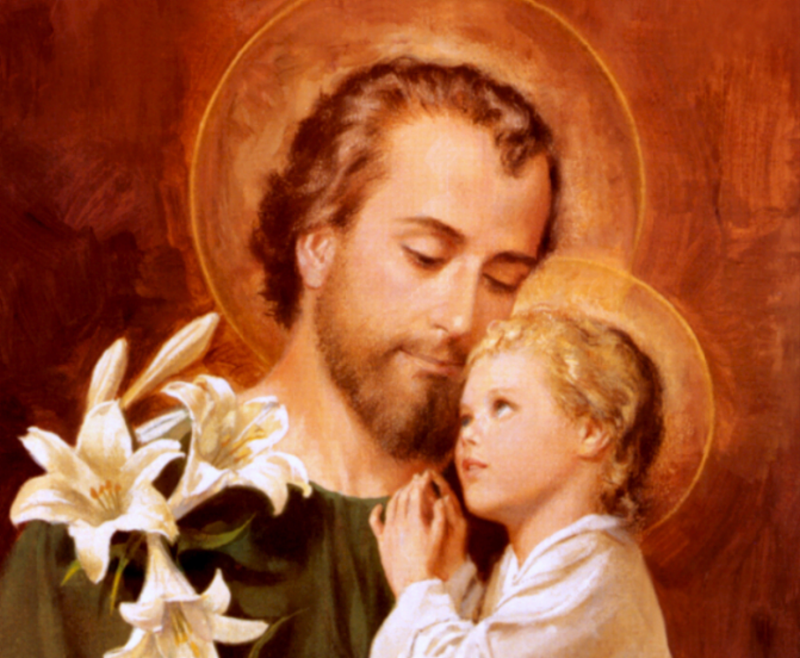 Prayer of Leo XIII to St. Joseph: To thee, O blessed Joseph, we have recourse in our affliction, and having implored the help of thy thrice holy Spouse, we now, with hearts filled with confidence, earnestly beg thee also to take us under thy protection. By that charity wherewith thou wert united to the Immaculate Virgin Mother of God, and by that fatherly love with which thou didst cherish the Child Jesus, we beseech thee and we humbly pray that thou wilt look down with gracious eyes upon that inheritance which Jesus Christ purchased by His blood, and wilt succor us in our need by thy power and strength. Defend, O most watchful guardian of the Holy Family, the chosen off-spring of Jesus Christ. Keep from us, O most loving Father, all blight of error and corruption. Aid us from on high, most valiant defender, in this conflict with the powers of darkness. And even as of old thou didst rescue the Child Jesus from the peril of His life, so now defend God’s Holy Church from the snares of the enemy and from all adversity. 4. A special apparition. On March 18, Our Lady will appear to Mirjana for a very specific purpose: to pray with us for those who do not know the love of God. “When you pray for the unbelievers, Mary tells us, “you are praying for your own future and the future of your children. Because evil comes into the world through the unbelievers.” And Mirjana added: “If you could see the tears flowing down the Holy Mother’s face because of the unbelievers, you would pray for them every day. Every time you pray for them, you are wiping the tears off her face!” This is a “hands-on way” for us to console the Mother of God! Especially, as Mirjana pointed out, since she was very sad on March 2nd. 5. Eating the word of God! We are much too unaware of the treasure we have in the Word of God! A Living Word that creates and recreates, a word that heals and begets peace. A gift straight from heaven! When I converted at the age of 25, and Jesus brought me out of a deep darkness, He had to add a good dose of the Holy Spirit to bring me back to life. 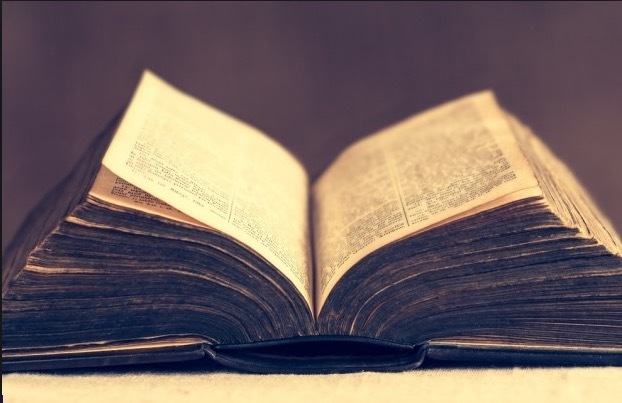 In the days that followed, I experienced an incredible thing: I would open the Gospel, and the letters of the book were no longer just words written in black and white as we usually see them, but from these letters arose something like flames of fire which fascinated me. I could not take my eyes away from the pages, because oddly enough, these flames were also like food to me. I was eager for this food, and happily gobbled it up. This experience lasted a few weeks, then I took my place among the “normal Christians”. 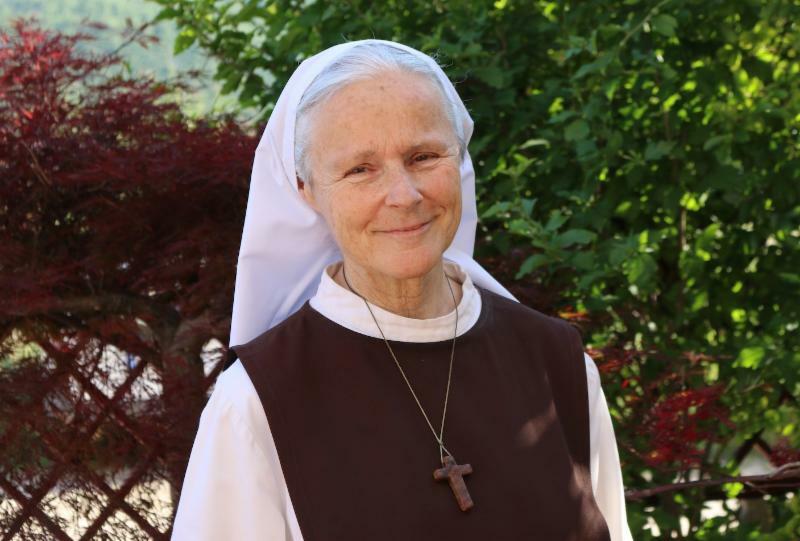 But now I know that even if some days the Word appears to not tell me anything special, in reality it is nourishing me secretly, and is enabling me to live in the life of God. A few days after my conversion, I was participating in a charismatic prayer assembly in Paris, in the same place where I had found life. I was sitting next to Martine, the co-founder of the Emmanuel community. Suddenly I was seized with anguish, and I said to myself: “What if the darkness falls over me again, what if I go back to the dreadful state I was in before?” Then, with all my being, I cried out to God in my heart: “O Jesus, I beg you, may thy Word never leave me!” At that point, Martine, with her eyes closed, opened her Bible and began to read the following passage: “As for me, this is my covenant with them, saith the Lord; My Spirit that is upon you, and my words which I have put in your mouth, shall not depart out of your mouth, nor out of the mouth of your seed, nor out of the mouth of your seed’s seed, saith the Lord, from henceforth and forever.” (Isaiah 59:21) Imagine my shock and joy at that moment! The Word of God is truly alive! 6. In Medjugorje, Our Lady gave instruction to those who have agreed to walk with her on the path of holiness. She is asking, especially during Lent (and Advent), for every family and every community to gather together to read the magnificent texts offered to us by the liturgy, and then to share about what they have read. By discovering what one’s brother or sister has to say, the readings become illuminated and light 1000 fires, like sparks that spring from a rock when it is struck. The Jewish people call these sparks “Midrashim”. And of course, the Rock is God Himself! There will never be an end to discovering new riches in the Word of God. This exercise can also be done during meals; this avoids empty talk and could heighten the quality of our conversations under the delighted gaze of Our Lady! Dearest Gospa, please, unite our hearts with your Heart, that they may always sing the beautiful melodies of your soul! May we be of those who console you, rather than of those who hurt you! During this Lent season, make our hearts meek and humble as Jesus’s Heart, pure and docile to the Holy Spirit as is your Heart! PS2: Vicka’s health is getting a bit better, she was able to spend a week in Spain last month with her husband. But she is not yet strong enough to receive pilgrims. Let’s continue to pray for her, as she prays so much for each one of us, offering her sufferings to Jesus for our sake! PS3: The Youth Festival will be held from August 1st to 6th. Don’t wait to make the arrangements! Please, also pray for the Youth in the world, as most of them are caught up with addictions. It is not by chance that in Medjugorje, the Gospa chose 6 youngsters to carry out her messages to the world. 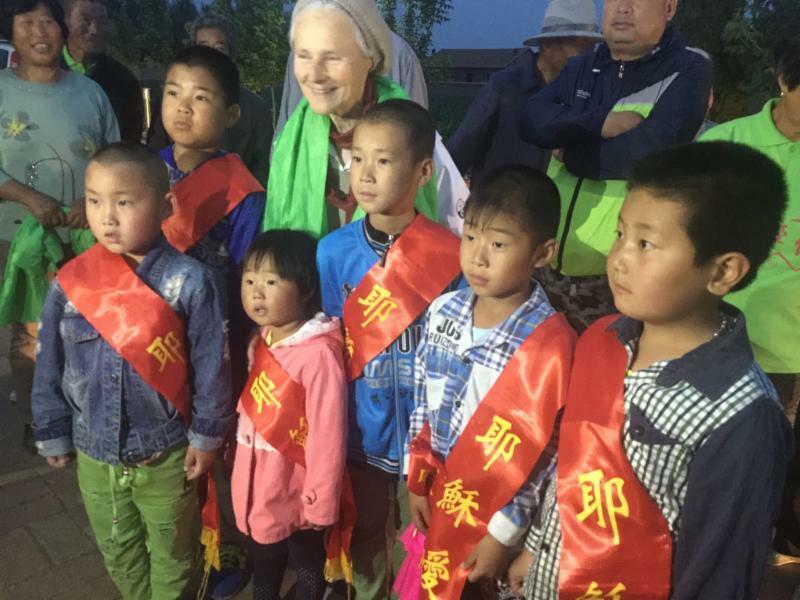 “Young people are my hope, my greatest hope”, she said! But the enemy also has a plan for them, a very bad plan; so don’t let him destroy our Youth! By our prayer and fasting for them, we have the power to drive them back on the way to holiness. May all parents be aware of that power! In November, to India with Jesus Youth Community. May your prayers accompany us for a Beautiful Spiritual Harvest! Thank you! PS8. The Blessed Mother is hoping to hear from you! Give joy to her heart, write to her your gratitude and your needs at “Queen of Peace”, BP 2157, F-06103 Nice Cedex, France. Your letter will be given to a visionary, and Mary will answer you in prayer. PS10. Follow the evening program of the parish!